Funeral services for Mr. Dan Earps will be 10:00 A.M. Wednesday, October 3, 2018, at Ligon & Bobo Funeral Home with Pastor Brandt Waggoner, Wallace Alsup, and Bro. Donald Owens officiating. Interment will follow at Wilson County Memorial Gardens. Visitation Tuesday 4–8 PM and after 9 AM Wednesday at Ligon & Bobo. Mr. Earps, age 62, of Lebanon passed away Sunday, September 30, 2018, at his home. Born August 8, 1956, in Wilson County, he is the son of the late William Thomas Earps and Mattie Maye Cummings Earps. 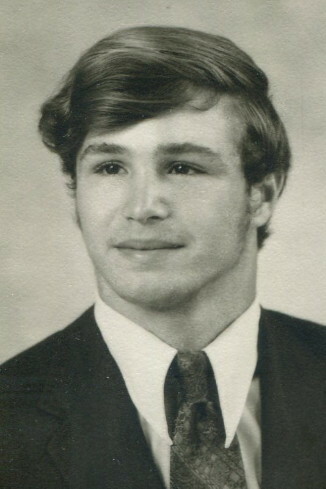 He was a 1974 graduate of Lebanon High School and attended Cumberland University. He was a member of Fairview Baptist Church. He worked for Manheim Auto Auction, and formerly for Carrier Enterprises. In addition to his parents, he was preceded in death by two brothers, Charles and Clifton Earps. He is survived by his wife of twenty two years, Alice Evans Earps; son, William Wyatt Earps; and two brothers, Mark (Colleen) Earps and Carl (Teresa) Earps. Pallbearers: Manuel, Eric & Kenneth Cummings, James Howard, Dale Clifford, and Albert Cummings. Graduated with Carl and spoke with Dan many times over the years. What a great person he was, as is the whole family. Carl–praying for you and your family in this time of loss. Sending prayers to Dan’s family and loved ones. We were in school together and played HS baseball. My deepest sympathies to the family. Danny and I went to school together and he was the sweetest guy, and he will be missed for sure.